Pat Cummins, Usman Khawaja, Bhuvneshwar Kumar and Marsh brothers achieve career-best rankings. Kagiso Rabada has become the number-one ranked bowler in the MRF Tyres ICC Test Player Rankings after helping South Africa to an exciting 72-run victory over India in the first Test at Newlands on Monday. Rabada, who was one of the stars in South Africa’s successful campaign in the ICC U19 Cricket World Cup in the UAE in 2014, returned figures of three for 34 and two for 41 against a star-studded India batting line-up. For this effort, the 22-year-old has collected five points, while James Anderson, who had entered the Sydney Test as the number-one ranked bowler, dropped by the same number of points following the last Ashes Test. This 10-point swing means the South African has moved ahead of the Englishman by one point after nine points had separated the two fast bowlers leading into the two Tests. 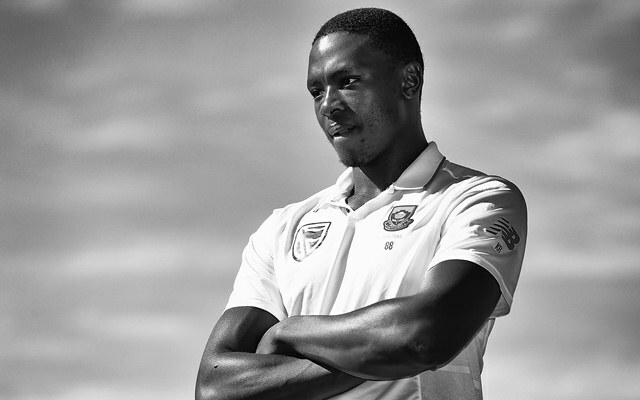 A delighted Rabada said: “It’s special to be ranked as the No.1 Test bowler in the world. It is a surreal feeling. It’s what you dream of achieving when you start playing the game. Rabada is the seventh South Africa bowler to top the ICC Test Bowling Rankings after Aubrey Faulkner, Hugh Tayfield, Peter Pollock, Shaun Pollock, Dale Steyn and Vernon Philander. Rabada’s team-mate Philander is the other bowler inside the top-20 to make an impressive gain. For his match figures of nine for 75, which also earned him the player of the match award, the 32-year-old has earned 67 points, which, in turn, has lifted him from 12th to sixth position. Philander now trails Australia’s sixth-ranked Josh Hazlewood by eight points and has an opportunity to break into the top-five following the Centurion Test, which begins on Saturday, 13 January. Outside the top-20, India’s Bhuvneshwar Kumar and Pat Cummins of Australia have achieved career-high rankings. Kumar has vaulted eight places to 22nd following figures of four for 87 and two for 33, while Cummins has leaped eight places and is now in 28th position after match figures of eight for 119, which also earned him the player of the match award. In the MRF Tyres ICC Player Rankings for Test Batsmen, Australia’s Steve Smith is unchanged on 947 points in first position, but there is some movement just behind him. England captain Joe Root has leapfrogged India’s Virat Kohli and Kane Williamson of New Zealand’s into fourth position, while India’s Cheteshwar Pujara has slipped from third to fifth. Root has earned 26 points from the Sydney Test in which he was dismissed once in scoring 141 runs, but Kohli has dropped 13 points after his contributions of five and 28 at Newlands. Pujara’s scores for 26 and four result in his total falling by 25 points. South Africa’s Hashim Amla and Dean Elgar have slipped three places apiece to finish in 10th and 16th positions respectively, but AB de Villiers has risen five places to 13th with a slot in the top-10 firmly within his sights. South Africa opener Aiden Markram, who was the player of the tournament in the ICC U19 Cricket World Cup in 2014, and India all-rounder Hardik Pandya are the other big movers from the Newlands Test. Markram has moved up six places to 48th, while Pandya is now ranked 49th after rocketing 24 places. India’s Murali Vijay, Shikhar Dhawan and Rohit Sharma have also lost ground. Vijay is now 30th after dropping five places, Dhawan has slipped three places to 33rd, while Sharma has ended up 44th after falling three places. Australia batsmen have a lot to smile about in the latest rankings, which were released on Tuesday morning. Usman Khawaja, Shaun Marsh and Mitchell Marsh have all achieved career-best rankings after stroking excellent centuries in the Sydney Test. Khawaja, who scored 171 in Australia’s 649 for seven declared, has jumped eight places to 19th after collecting 55 points, Shaun Marsh has earned 42 points for his fine 156 that has moved him from 31st to 20th spot, while his younger brother Mitchell has been rewarded for his 101 with a leap of eight places that has put him in 57th position. There is no change in the top-five of the all-rounders’ list, which is still headed by Shakib Al Hasan, with Ravindra Jadeja and Ravichandran Ashwin in second and third place, respectively.